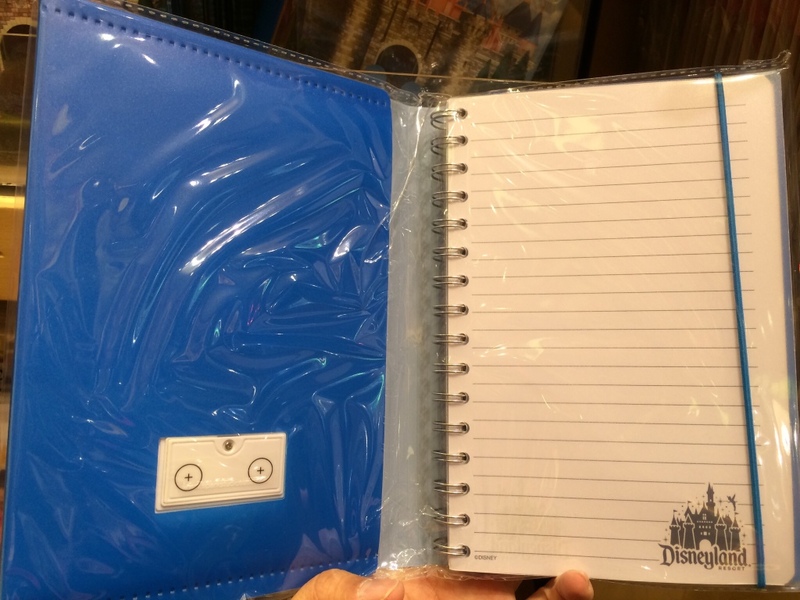 The front cover contains a Mickey shaped graphic on the bottom that encourages you to give it a press. Why is there a sticker indicating this thing takes batteries too? Lights up? No way. 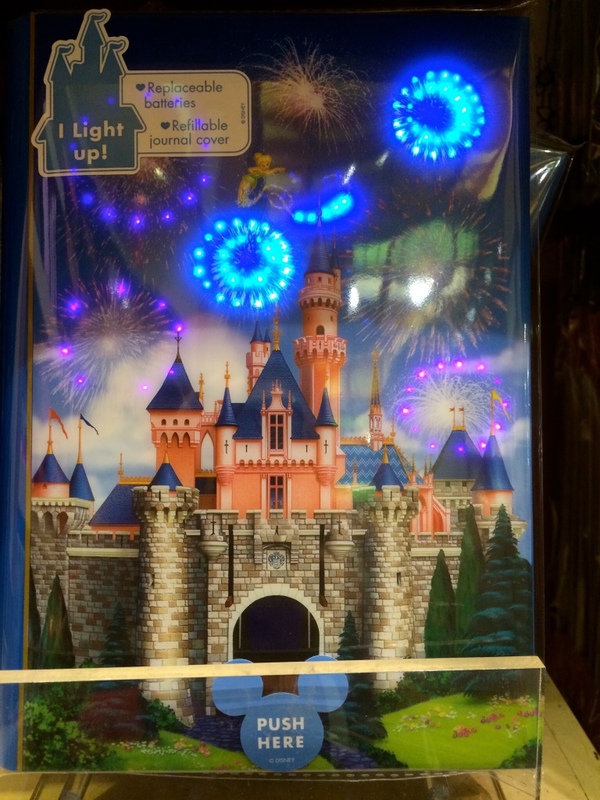 Press the button and immediately the sky over the castle lights up in bright blue and purple colors in multiple patterns of fireworks from some hidden LEDs. 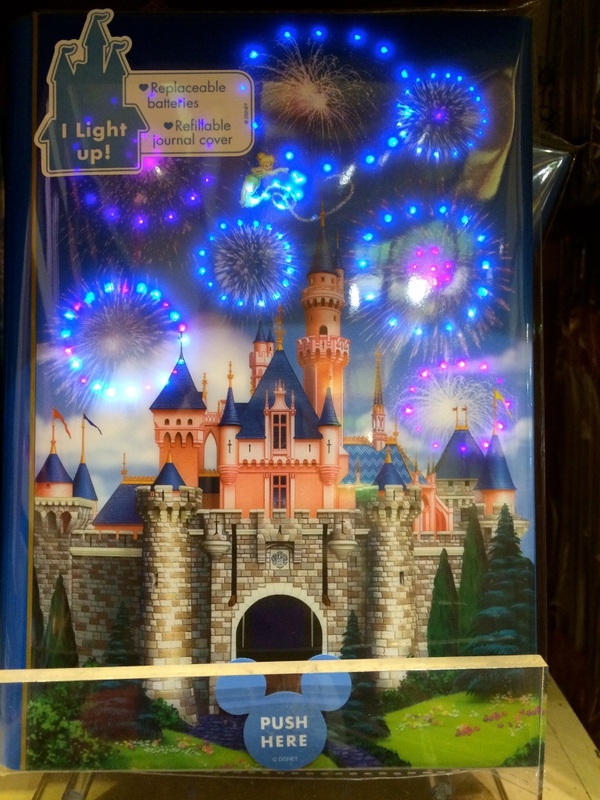 The “bursting” effect of the simulated fireworks was done very well! I ended up mesmerized, watching the light show 2-3 times lol. Under the front cover, you can see the battery compartment for changing them out (I missed what type of batteries it takes), nice paper (which is refillable) with the Disneyland castle logo on the bottom right, and a black and blue string from the top to bookmark your last visited page. 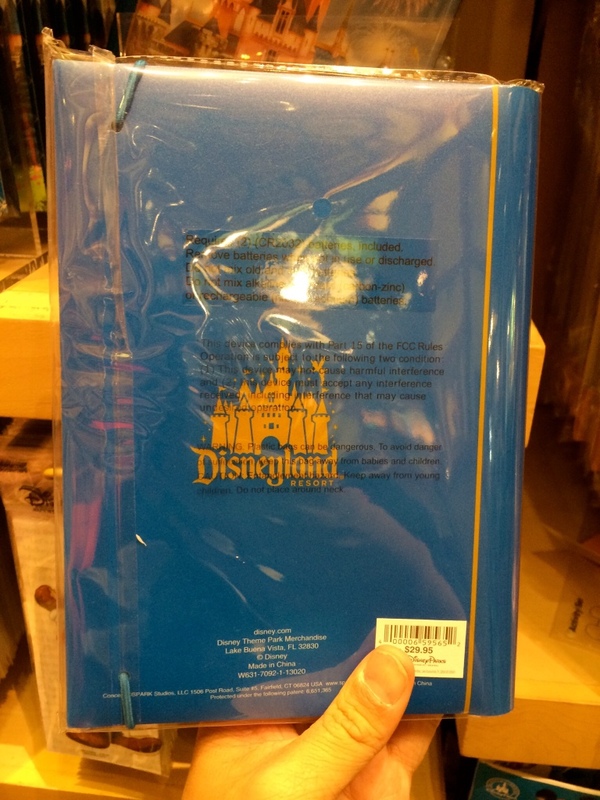 This would be a great gift for someone who loves both Disney and writing (and flashy blinky things). 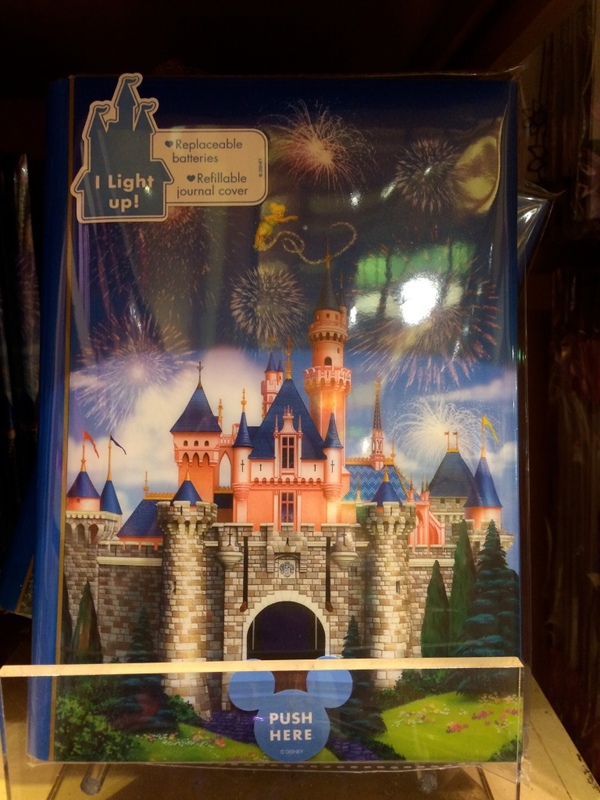 Use it as an excuse to buy one of those Disney pens you’ve been eyeing! Lol.